The Bronson Winthrop estate designed by Delano & Aldrich c. 1910 in Muttontown. 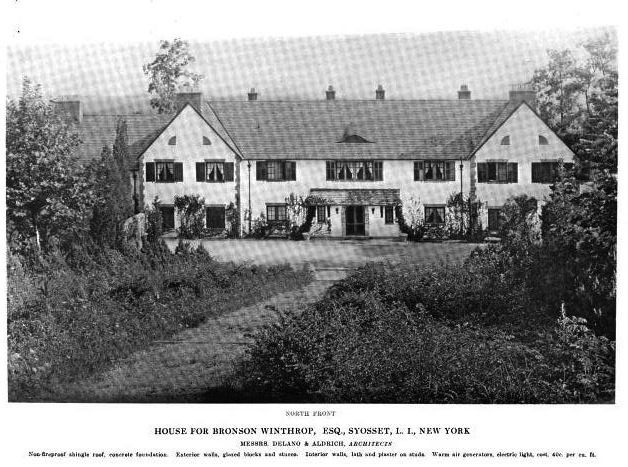 Click HERE for more on the Winthrop estate. The home is currently for sale for $4,200,000, click HERE to see the previous post on the listing. 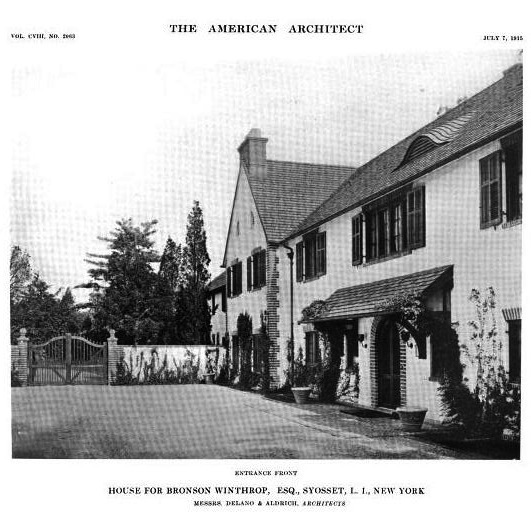 Click HERE to see the Winthrop estate on google earth and HERE on bing. 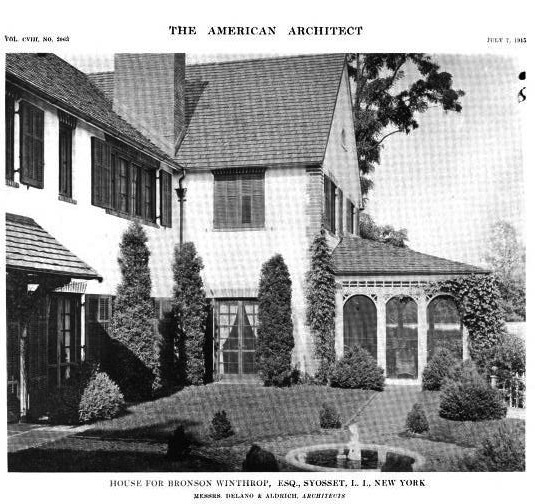 Photos from American Architect & Architecture, 1915. Santa should have brought this house a buyer who loves preservation & restoration & money is no object; this house has come too far to be lost now. Santa, don't make us ask the Easter bunny, cause we will. Courtesy of a commentor at TDC, check out the floor plans for the "palaces" on offer in this new Russian development. It would be difficult, I think, to do worse. That development site has been on the internet for years. Always wondered if it ever got underway. 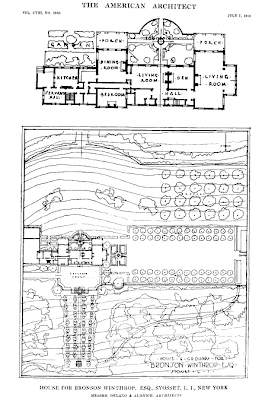 Its the perfect storm of newly minted Russian millionaires, the desire for ostentatious, grandiose psuedo historical dwellings and an overly ambitious and minimally talented designer/developmer team. Wow Ancient, I wish I could say, "Thanks for sharing" but I truthfully could have lived the rest of my life without looking at that. OMG, what are/were they thinking? How can there be that many three-story houses & not one of them has an elevator? Is it not understood you don't want a bedroom opening directly into a public room, especially into a home theater (hint: not everyone in the house might want to watch the movie). 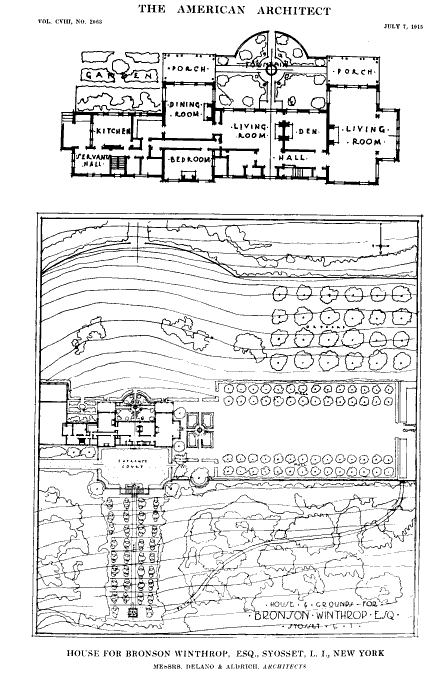 I can tell that these "palaces" were designed by committee -- in each one you can see where each committee member made sure the thing they like best in a residence (it ain't a home) or second-best got included. I predict one day there'll be a Russian web-site that is the antithesis of OLI -- the Russian version will celebrate when any of these is leveled.